The extravagant and exquisitely designed serviced apartments in central London offering lots of additional space can be an excellent choice for business travellers and tourists. If you are looking for a place where 5 to 6 people can live comfortably, why not check out Carlton Court’s lavish three bedroom apartment. Situated in the heart of London in Mayfair, our apartment provides you with the ideal base from where to explore everything that the city has to offer. ●	Space: Our self-catering three bedroom apartment spread across 1615 sq ft consists of 3 large bedrooms, living room, dining room and fully-fitted kitchen. 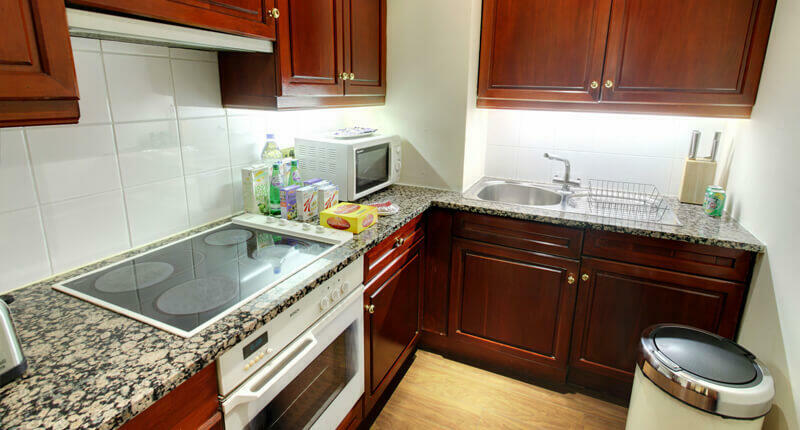 In our apartment, you will have separate areas for working, relaxing and sleeping. Hotels can never match up to the size of our apartment and the space it offers. ●	All the latest amenities: The large living room in our apartment features a sleek LCD TV with full Sky HD package and a high-quality music system. As the package consists of an extra satellite, you will get approximately 2000 channels inclusive of English, Russian, French, Arabic and Hindi. Your kitchen is equipped with all the modern cooking appliances you need to enable you to prepare your own meals. ●	Super-fast Free Internet: We provide high-speed free Wi-Fi in all our self-catering apartments So, when choosing to stay with us, you can access the Internet quickly and easily and free of charge. ●	24X7 services: We offer 24-hour security and concierge services to all our guests. If you need any help whilst staying in our apartments, we are always here to help you. So, if you are looking for 3 bedroom apartments in central London? Contact us at Carlton Court to make your reservation. If you require further information, our professional team are available to help you.